One of the biggest problems of working in an office is not the politics that employees have to deal with. It is the need to work in a cubicle that is so cramped and dull that it can start to feel like a jail cell. However, office cubicles do not have to be boring or devoid of personality. Here is a list of thirty-six simple DIY ideas for transforming an office cubicle into a space that feels like home. Origami, the Japanese art of paper folding, is one way to add simple, elegant décor to an otherwise dull cubicle. 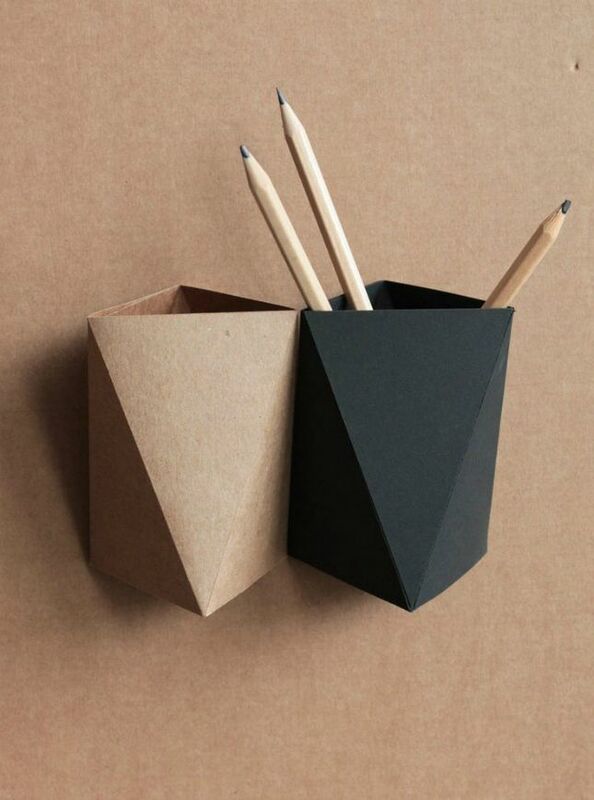 Use patterned paper to make this functional pencil holder.